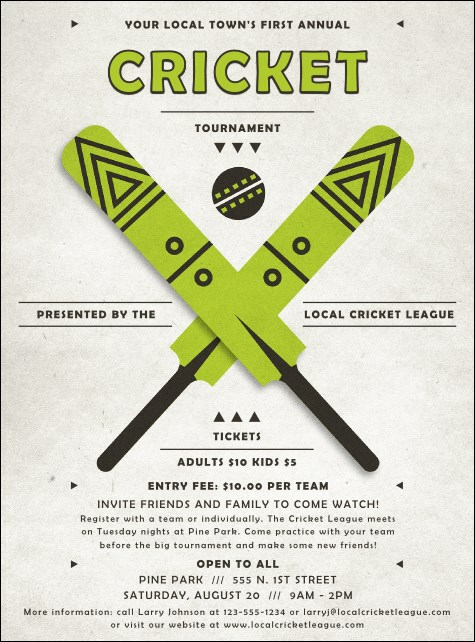 Dismiss the competition when you use the Cricket Flyer! This template brings England's national summer sport to the forefront with two massive decorated bats colored like the playing field and a nearly animated ball. Use 17 lines of text to get across all the needed info. The right flyer awaits at TicketPrinting.com!